No matter where you live, there’s always going to be some little regional chain that you’re going to grow up with and despite what anyone else says, you’re going to long for after you move away. With one of my co-workers, that place is Halo Burger. 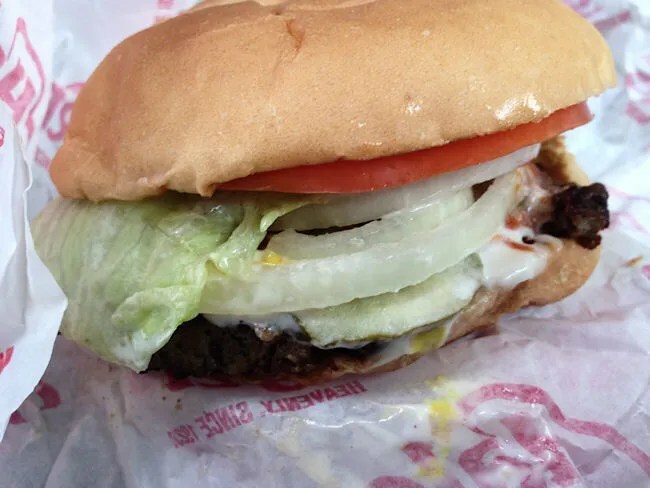 Halo Burger has been around for over 80 years on the east side of the state. The original business was actually the founding of the Kewpee Hamburgers. 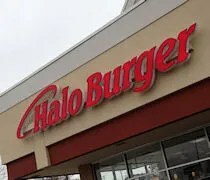 It wasn’t until the late 60’s that the Halo Burger name first appeared after a trademark dispute with the Kewpee chain. The original Kewpee location on Harrison Street was turned in to Bill Thomas’ Halo Burger. From there, the new Halo Burger chain expanded in Genesee County. Just last year, the chain started moving west and so far, it has made it as far as Lansing. I work with a guy who grew up in Flint and grew up eating Halo Burgers. It’s a must stop for him every time he goes back to Genesee County and he talks fondly about the small fast food burger joint. 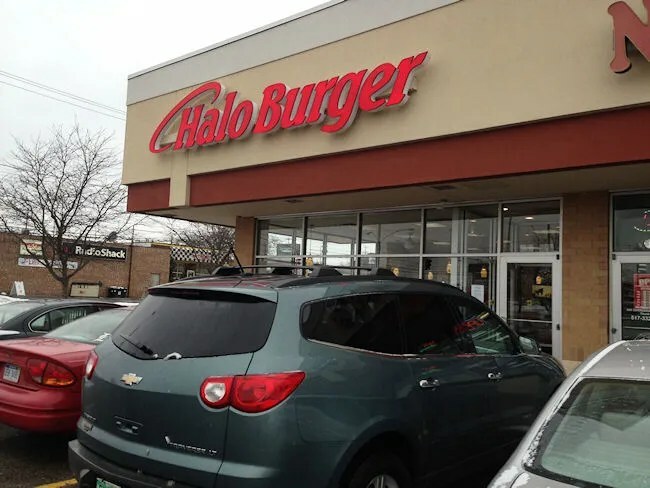 We end up in Lansing quite a bit for work and when I first saw the news Halo Burger was expanding to Lansing, he was the first person I told. At the beginning of October last year, Halo Burger opened the Lansing restaurant in the Frandor Shopping Center. The small restaurant sits right on the entrance of the shopping center at Clippert and Vine Street. When I walked in to Halo Burger for the first time, I found a familiar fast food burger joint. The order counter was in the back of the restaurant and the menu boards were hanging right behind the cashier. The menu was dominated by hamburgers, but there are also options for those that aren’t really big beef fans. I was alone on this trip, but I was meeting several co-workers in downtown Lansing including the C.W. that loves him some Halo Burger. For myself, I ordered the Beefy Double Cheese combo. As expected, the burger was pretty typical fast food fare. 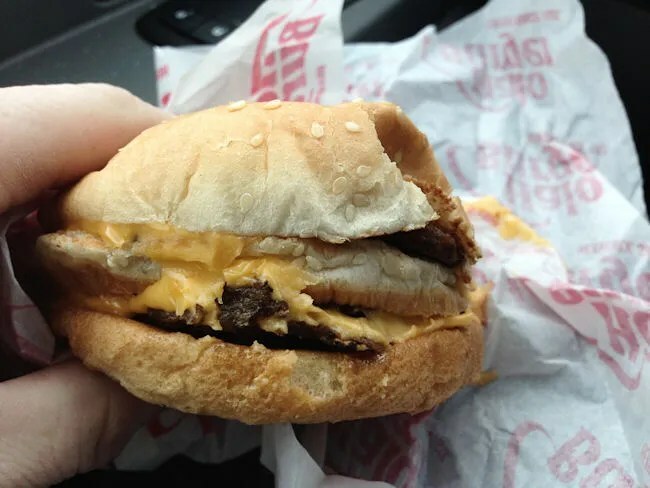 There were two thin beef patties, two slices of cheese and three buns. The sandwich had a middle, flat bun in between the layers of beef. I’ve never totally understood this concept. Why more bread? I have no idea, but the sandwich was good. It was better than most fast food burgers, but it’s still a fast food burger. The combo came with small fries and a drink. 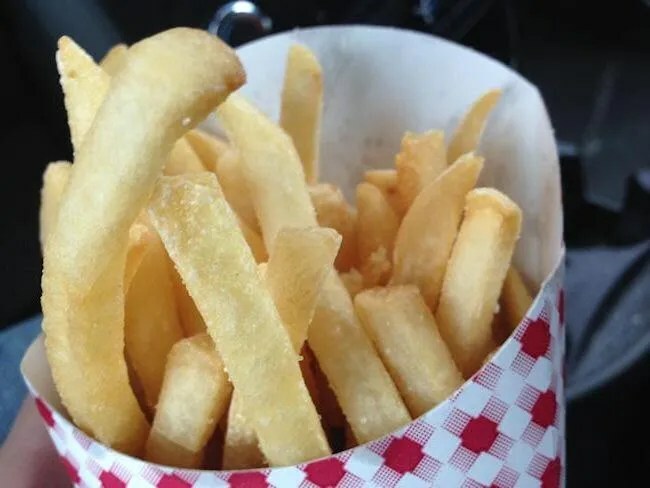 The fries were very crispy and, again, better than comparable fast food fries. For the four co-workers I was meeting downtown, I decided to be a nice guy and bring them a burger. I ordered four Q.P. Burgers (say it out-loud…Q.P. = Kewpee). This is the original and most popular selection in the Halo Burger line-up. It’s a 1/4 lb beef patty served “deluxe” which is ketchup, mustard, pickle, onions, lettuce, tomato, and mayo. The funny part of this story is that I brought burgers for all my co-workers and all four of them “had just eaten,” so they weren’t interested. That just meant more for me. I scraped off most of the toppings and just enjoyed the meaty goodness of an all beef patty. The cost for the meal and the four burgers was just a hair over $20. My Halo Burger experience wasn’t all that different from my experience at most other fast food burger joints. The food is slightly better than the larger competitors. For the most part, Halo Burger is one of those places that you seek out just because there isn’t one on every corner. It’s a place that I will keep on my list of quick stops in Lansing and a place I would welcome with an open mouth in Kalamazoo.